Whole30 is a straightforward elimination diet. For 30 days you will eliminate all forms of sugar, grains, dairy, and legumes. There are a ton of different recipes you can use and there are even some that let you use your Instant Pot. 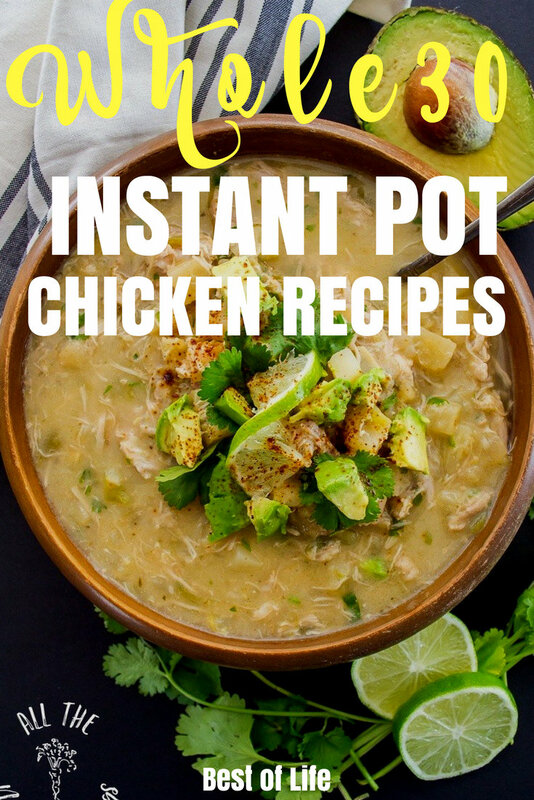 Getting started, you should try the best Whole30 Instant Pot chicken recipes. 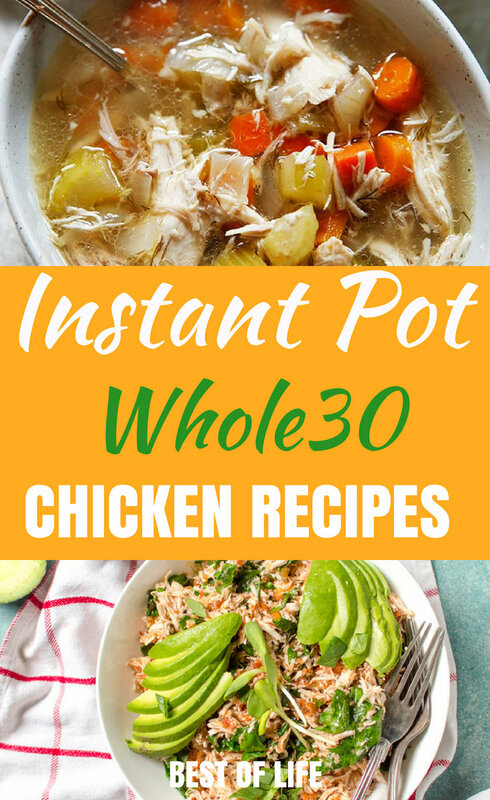 There are some incredibly quick and easy Whole30 Instant Pot chicken recipes that are tailor-made for your Whole30, weight loss success! Whole30 is a very restrictive meal plan and requires some level of commitment. Eliminating entire food groups and your daily glass of wine is not easy, and finding new recipes can be a challenge. Your Instant Pot is an incredibly useful tool for Whole30. Soups, stews, meat, and vegetables cook in a fraction of the time and these recipes save you all the planning and research. Your work will be even easier if you prep your vegetables ahead of time. If you are starting your Whole30, you will need a variety of compliant meal and snack ideas. 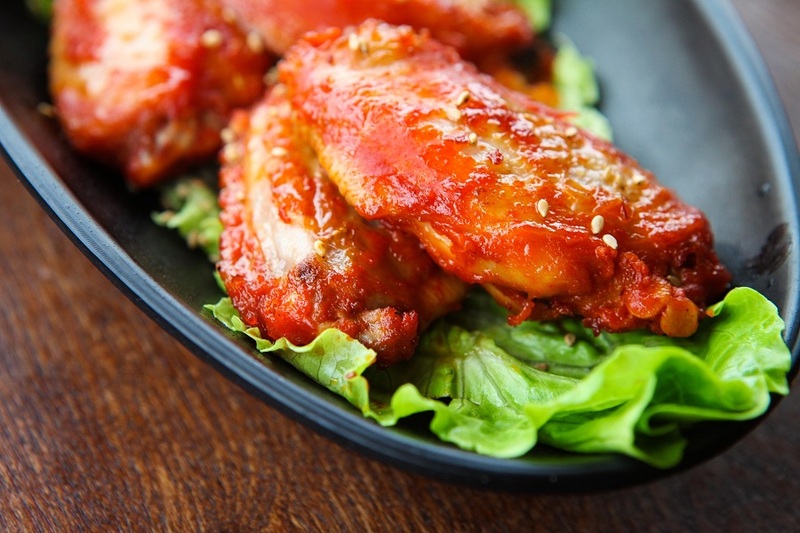 Since so much of Whole30 is protein based, there is a tendency to fall into chicken boredom. But with these Whole30 Instant Pot chicken recipes, your meal planning rotation won’t suffer. You will not drink alcohol and will not eat processed foods. What you will eat is a ton of vegetables, quality meats and seafood, eggs, nuts, seeds and healthy fats.